In the decade since my near-death experience (NDE) during a week-long coma in November 2008, I have been through many ups and downs in sharing my experience with the world. The low point involved a published account of false and misleading statements. The details of my medical condition were called into question as perhaps not as severe as I’d maintained in my first book, Proof of Heaven. I was challenged personally with implications that I lied about such specifics for financial gain. A GCS score of 9 or less indicates deep coma, with 3 being the lowest possible score (a corpse), and 15 the GCS in a normal awake patient. Based on these scores, I should have had no experience at all, other than the most rudimentary forms of conscious awareness. My neurologic examinations, the CT and MRI scans showing all eight lobes of my brain to have been involved, and lab values all indicated a very severe infection. Both neurologists involved in my case were similarly surprised by the outcome, given the severity of my illness. One of my main infectious disease specialists, Dr. Scott Wade, in a private communication with my family written six weeks after I awakened, stated that my “recovery from a serious meningitis [was] the most incredible and gratifying experience” of his medical career, which had spanned more than two decades after fellowship training. The current case report goes much deeper than the details provided in Proof of Heaven in exploring the extraordinary nature of my illness, and the equally surprising facets of my complete recovery over two months. The fact that I could have experienced anything while my brain was so besieged with infection, particularly targeting the neocortex, remains a profound challenge to our conventional materialistic worldview, and especially the assumption that the physical brain creates consciousness. The implication, that consciousness can exist independently of the brain, so absolutely defies the principles of conventional (pre-quantum) science and its assumption that only the physical world exists, that some seem to be thrown into an existential crisis by my case and the profound implications it engenders. The discussion of the reality or meaning of NDEs in our society is one that greatly stirs people’s feelings about their most fundamental beliefs, and thus ignites extreme passions in their responses. The case report actually goes beyond simply remarking on the astonishing nature of my course since coma, to suggest that the spiritual content of my NDE might have contributed to my inexplicable recovery. Dr. Larry Dossey and I have both written about miraculous healing associated with NDEs in the medical literature. All of us might gain useful lessons about the role of mind-over-matter in healing. This is the ultimate treasure trove resulting from the deeper understanding of NDEs and other spiritually-transformative experiences. This case report destroys the false conclusion perpetrated by those who tried to discredit my story, my integrity and trustworthiness with false statements about my career as a neurosurgeon. My recent FAQ entitled “Have you been found guilty of malpractice?” summarizes how twisted facts completely obscured my true actions in that case. I am proud of a neurosurgical career in which I operated on over 4,000 patients, and contributed to advancement of the field, especially in specific technologies such as stereotactic radiosurgery, intraoperative MRI, and focused ultrasound surgery (publications). I have nothing to hide about my medical career, which is one of the reasons I proceeded to share my story in Proof of Heaven. Malpractice data is freely available to the public. I never suspected that anyone would take the original allegations from a malpractice case, which can be wildly inaccurate, and present them as final facts in the matter. The offending article totally ignored the full investigations by state medical boards and the American Board of Neurological Surgeons and their conclusions that allowed me to return to medical practice with my licenses and board certification fully intact. Living in a Mindful Universe, the book I co-authored with Karen Newell, argues further that the reductive materialism of conventional science is a dead end. The stunning reality of ontological idealism (the mental universe now coming into focus for quantum physicists), is presented most forcefully. Ultimately, we are all part of the greater consciousness, the primordial mind, that determines the emerging events of our lives. In coming months, Karen and I will be appearing at several conferences and presentation venues in North America and Europe, including meditation playshops to help true seekers get deeply involved in exploring consciousness and manifesting the free will of their higher souls. We hope to see you at one of these events! Dragă domnule doctor îți mulțumesc că existi si că te-ai întors din moarte ca să ne oferi și nouă minunata ta carte.Am citit totul pe nerăsuflate și am simțit că am fost acolo.La 17 ani am înghițit 20 de pilule de romergan și am fost în comă 16 ore fără să fiu spitalizată.În cele 16 ore am călătărit in lumi paralele si descrierea din cartea ta se apropie mult de experienta mea.Dacă toți oamenii ar citi cartea , întreaga lume ar deveni mai bună,eu citind această carte am înteles abia acum pe depin ce mi s-a întîmplat.Am 61 de ani și de cînd mă stiu m-am întrebat de unde vine constiința și unde se duce după ce corpul moare,simțeam,stiam că nu dispare odată cu creierul uman.Am numai gînduri frumoase si urări de bine și mult succes pentru tine!Tu meriti premiul Nobel. Hello Vicki Dear, I have been waiting to respond to your inclusion on November 16th, but have been laid up with stomach flu. Beginning to feel a bit better now, so am starting to respond to your message. As I write this, I am not quite sure what I will express. It doesn’t always type out to plan, but as the spirit moves me, as they say. Of course, as humans, we tend to think that the elders leave first, that is the cycle of things, isn’t it? But order is a hidden mistress, she can see the dots and crosses long before we do. The order is not that the eldest and more frail exit the body first in our tribe. Rather, we come and go in the order of whatever particular incarnation we have worked out, with our Light family. It all seems chaotic, unfair, – why? we may shout. Just over two years ago our family lost a young man of about thirty years old, a drug overdose. There are some unanswered elements still rattling around, not all the truth has been revealed. That adds to the grief. Of course, we all mourn on different levels, depending on the relationship and what we expect out of life, but somewhere within the circle one does sustain and support the others. So we can either drag each other down and no wonder, or one or two can stand strong and support the rest. Eventually, it does even out and mostly, everyone begins to sing from the same music sheet. Being a nurse and involved/witness NDE’s must be such a treasure to run your mind through from time to time. We all have beliefs, dis -beliefs, ideas, suppositions, faith. But there is nothing that can get past proof. Real events that you will recollect until after your dying day, intimately connected to you. I look at the news, greed deprivation, cruelty, idleness, me – me, don’t care attitude, ” lets have a good time” “kick a few heads in” “Here, try this” nasty stuff that kills brain cells, cutting you of from your Self. We are having, here in the UK a continued spate of street violence. But despondency does not stop it. Ask, search, be open to messages that can enter our lives by such amazing roads. The ways of God are myriad , revelations, synchronicity being thrust in your path all the time. Like you, though I have found research does aid us. Your story is inspiring, more so because you have shared it with us here, from all parts of the globe. Gates will open via you, via me and all who cast their eye over these blogs and so on. We pass the candle on, do we not? I send you love and kindness, Margaret. Our 19 year old son was killed in a car accident in 2012. It has been the most traumatic event we have ever had to experience. Our family is a very spiritual and religious family (we have 7 children, 6 in-law kids we call our own and 18 grandchildren) but when you lose a child sometimes even our spirituality and religion didn’t help me. I have always had great faith in life after death, as our religion teaches that and I have never doubted it. But when our son died I received no solice from anything. So I began reading every book I could get my hands on about NDE’s, life after death,etc. some from my religion and most not. Dr Alexander’s book came out at that time. His book and Mary Neal’s book on her NDE are two of the books that I have read and reread over the last 6 years. I am a nurse and could relate to their scientific beliefs and what happened to them in their NDE’s. They are the gold standard for me. I have read over 100 books on the subject and I still go back to them. Their stories and those of others, including some from my religion, saved me during a time when I could barely breathe. Losing a child tested all my beliefs and tested me in a way I wouldn’t wish on my worst enemy. But thanks to Dr Alexander and many others who have been willing to share their experiences and my beliefs in a life after death, I somehow have survived the death of our son. We know he is near and he has proved that to us many times. Thank you so very much Dr Eben for helping me when I was sure nothing could. I got hit by a truck in 2006 and left for dead. I experienced a NDE on impact. It was the most transformative, defining moment of my life. When I returned, I recovered in no time. I always felt that the NDE re-booted my computer and gave my cells a kind of spiritual superpower to fast track the healing process. I have just released my memoir called: “you are the Miracle!” Which is available on amazon amzn.to/urthemiracle. This is my story, how being hit by a truck saved my life. I hope to inspire others that there is so much more to life than meets the eye! I share your story with my clients and students at my clinic http://www.purplehousewellnesscentre.com.au. If you ever come to Australia, I would love to host one of your workshops in Tasmania. Hi Grada, I am ENT doc and am also very much interested in Eben’s story and studying other NDE’s stories. I just looked at your website and you found any spiritual meanings in the maze? I feel it is not meant for all of us to experience life after death and bring that proof back with us. We are all on a different journey. We are born under different Zodiac signs in order to understand the many facets of character and challenges that come at different times of the year. We enter this heavier element of life to offer experiment to all we encounter, all of which, really, to my way of interpretation is an act of service. We are now, in a “time” of knowing, not just believing. Belief is a many side jewel, a gem that will, present itself to you as it really is. Take heart – those you love do not want you to be perturbed – certainly not over a lengthy time during your incarnation. Proof, too, is a many sided jewel, think about synchronistic conversations, memories that come in at occasions which give you enough thought, pops in at the most suitable and unexpected times. Perfumes, dreams, statements made in conversations that make you think again. Do not fret or feel left out. Ask, trust, wait. It will manifest for you, I am sure. Sincerely and with Love, Margaret. Dear Maria, I just had to respond to your contribution to this blog, as my heart goes out to you. I feel. it is not meant for all of us to experience life after death and bring that proof back with us. We are all on a different journey, as it were. Born under different Zodiac signs in order to understand the many facets of character that comes with appearing on Earth at different times of any one year. We enter this heavier element of life to offer experiment to all we encounter. all of which-really, to my way of interpretation, is an act of service. We are now in a “time” of knowing, not just believing. Belief is a many sided jewel, a gem that one day will present itself to you as it really is. Take heart,those you love, do not want you to be perturbed, certainly not over a lengthy time during your incarnation. Proof is also a many sided jewel, think about synchronistic conversations, memories that come in on occasions which could be most suitable and unexpected. Perfumes, dreams, insights, unexpected meetings, the list is endless. Ask, then trust, your heart will be healed and all will be revealed. With Love and Blessings. Margaret. I think there is something more beyond the materialistic science! We have a long way to go to find out the real truth about our lives. I wish i could know for a fact that consciousness after death does exist…in the meantime i follow all your teachings and have purchased your book:proof of heaven…i grieve so much when i lose a loved one and even pets…knowing i will never have them in my life again….thank you for sharing your experience. An addition of what I posted before. My friend and professional colleague, Gyorgy Doczi, wrote a book, “The Power of Limits: Proportional Harmonies in Nature, Art, and Architecture,” over a period of many, many, years. Most of its content consist of dozens of analytical diagrams that seem to prove that everything in the universe is connected, designed to be in harmony, including all living creatures on earth. Congratulations from Brazil! I teach your story for my med students and they accept extremely well. Imagine now with this article. But we should not rest…as Dr. Semmelweis was rejected in medical community (1860) for suggesting that doctors should wash hands, as churches don’t read Saul (Paulo) in letters to Corinto II chapter 12 (“14 years ago I was taken to third heaven…..still in the body? Outside the body???? Many times I had this experience, what I can not describe in words”…./ Brazilian Bible). It is clear for us but I had hard consequences last few months. Anyway, slowly we will bring out. Last week Nature published about WHO and Chinese medicine.
. Palliative medical doctors and same experiences independently of culture, age, background (my nurses can predict when the patient go, 2 days after they saw a deceased family member and /or 1 hour after the family go home for a shower….mine/our experiences) Everybody knows but we can not talk about this.. I guess, our problem in Brazil, is THE LOVE we will get independently of what we did. We were educated using hell as controller. Wow! This account “blows me way,” because I believe that Eben is telling the truth. How do I know that? What I have read so far has too many similarities with the blessings that I have received from my own death and NDE’s and subsequent years of unbelievable extreme emotional and physical suffering. Because of my gentle nature and comforting demeanor I was an invited to be a volunteer spiritual care volunteer in regional hospital and psychiatric care facilities. Some of the confidential conversations with hundreds of their patients were about this very subject. I can barely wait to read Eben’s books. Eben, It is good to hear from you again and the positive strides that are being made on your behalf. Reading your book excited me to know there was scientific documentation of NDE from a medical perspective, which many of us, including myself have experienced. Meeting you in Lilydale, NY, was additionally promising.. If you recall, I have stated in our previous communication, as a practising traditional Mohawkl healer, we have known of this existence for thousand of years and continue to work with the ancient ones in the spirit world. I admire your fortitude and will continue to pray that your work will make the progress needed for the betterment of our Mother Earth. Whilst you have maintained the integrity of your intent with a Good Heart and a Good Mind your guides will continue to lead you on a righteous path. Remember you work is supported by many. Be well my friend. Keep the spirit! Bravo beautiful; true heart felt comments. Thank You. I truly believe that you are the Nobel prize recipient, it’s just a matter of time. Dear Eben, I’ve been concerned by the powerful influence of organized skeptics and their ability to sow doubt as to your story and character. The debate forum in which you and Dr. Moody engaged two skeptics was equality ineffective in light of your unfamiliarity with debating tactics. Undoubtedly, there are those like me who recognize near death experience as internally congruent with they’ve researched and/or experienced. I hope that with this independent validation you will be better able to present a more clinical and effective presentation for the sake of those innocent bystanders who have been misinformed by the powerful organized skepticism. Dr. Alexander, I am so happy to see this update on your life and experience. I believe St. Paul said, “What you think of me is none of my business”. In your case though, I’m very sure that this means a great deal to you. Ill be seeing you in November in Illinois. Those who spread falsehoods are the haters looking to tear down the move toward love that your work promotes. What can we do but pray for them and love them too in the hopes that their hearts will be changed. God is working miracles today, and all of us who have had NDEs and STEs are part of the grand plan toward change. Thank you to you and Karen for all the positive energy you put into the world. Keep up the good work! Humpback calves and their parents are begining to head south to the Great Ocean and the Antarctic Krill. All is well – apart from what human impacts are and it is so good to read of the vindication of where your body was at while greater consciousness was liberating and opening you to all that is and is not. Keep up the good work the great work that you and Karen do. Edgar and all “out there” are applauding I’ll bet. Come back and see us here again sometime. Thank you, Dr. Alexander, for your efforts and for the risks you have taken in this area of spiritual awareness. I fear that those, like me, who believe you and are in awe of your experience, do not need convincing, and those whose mind is adamantly made up against it will not be moved at all. I admire and I’m grateful for your persistence. Lovely to hear from you again, another success story on the way to deeper knowledge of the mindful universe, Thanks K.B. Dr Alexander, I am convinced that what you have described in your book ‘Proof of Heaven’ is real description of what you felt, and what you saw in abstraction. As I have said somewhere else there is another universe beyond material universe, and that universe is of universal consciousness. A part of this universal consciousness reside in each living species, that is life energy, and source of mind. Mind is not brain; whereas our science deals with brain we have little knowledge of mind. Science has not discovered source of life yet, and that is the reason of ‘The God Delusion’ – quoting from one of the book titles of Richard Dawkins. Moreover, we all preserve archetypes in our collective unconscious, and thoughts, either in woken state or in sleep does not usually transgress boundaries of collected images and ideas. A dreamer cannot dream of an object to which he or she has had no exposure, either gross or abstract. If you were not exposed to the knowledge of ‘Aum’ and its sound description it may not have been in your subconscious or collective unconscious, and therefore, its appearance at the time you were in deep coma only indicates that your deeper mind was in action. That may be one of the reasons for your recovery from this grave disease, and of course the proof of heaven. Much work is required to unravel mysteries of mind, and your writings may be just an humble effort in that direction. Science and spirituality may belong to different spheres but one day, I am sure, the fusion is bound to take place. Man has to research into common moorings, the fountainhead of life, like ongoing research on ‘M theory’. Dear Dr. Eben, I am happy to read this update. Thank you for sharing it. Being part of your team for over seven years and knowing all the hard work and how meticulous you were in reviewing all fine details of the data preoperatively to ensure minimum side effects, had made me very sure of your story and all the details, including the very microscopic descriptions. This is another important perspective view that add more truth and validation of what you’ve went through. God bless you and wishing you and your family all the very best always. Listen pal, you don’t have to justify your condition or experience to anyone. Those of us that have followed you from the beginning, attending conferences and listening to you know the score. Keep it up. You are changing lives every day. Hello, Dear Eben, I am so glad to read this. I have seen various titles and suggestions of false hood and deception which you have had to suffer. I refused to read them and when I met you with Karen last year in the UK, I immediately knew that what I had felt, that you are genuine, is correct. So, I am delighted that, now you have stated the true findings of your condition during that amazing, yet, obviously worrying time for your family. You offer such a service to the World really, it all falls into place at the right time, does it not? Thank you for your dedication to us all, I send my love to you, Karen and your family. By linking with you, I have found a dear Catholic Brother in the States, as a new friend too. God Bless, Margaret. 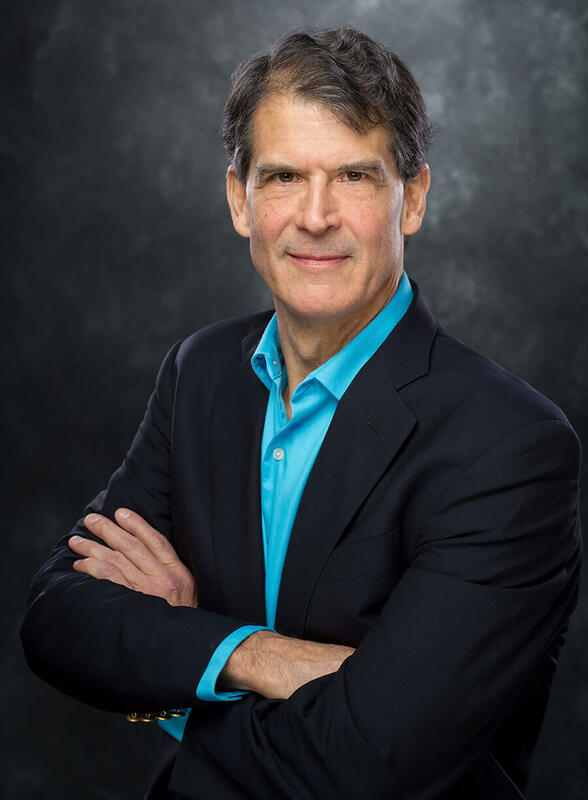 For what it means to you Dr Eben Alexander, from the very first moment I heard your story on Youtube, reading your books and then meeting you in London I knew you were genuine and your story has made my life unimaginable more easy. Thanks to your courage to come forward with your story I have no longer any doubt that life continues after this earthly existence and that I am loved and will be taken care of once I move on to the next stage of my life.